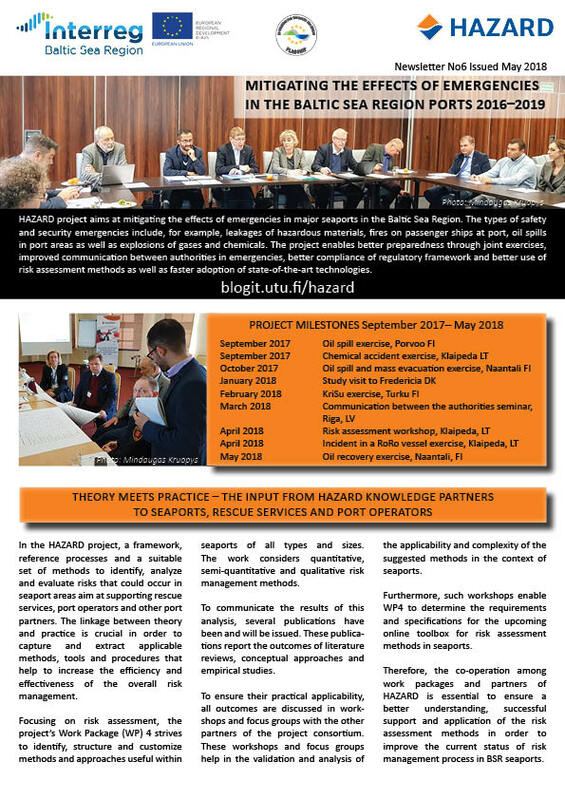 In the HAZARD project, a framework, reference processes and a suitable set of methods to identify, analyze and evaluate risks that could occur in seaport areas aim at supporting rescue services, port operators and other port partners. The linkage between theory and practice is crucial in order to capture and extract applicable methods, tools and procedures that help to increase the efficiency and effectiveness of the overall risk management. Focusing on risk assessment, the project’s Work Package (WP) 4 strives to identify, structure and customize methods and approaches useful within seaports of all types and sizes. The work considers quantitative, semi-quantitative and qualitative risk management methods. To communicate the results of this analysis, several publications have been and will be issued. These publications report the outcomes of literature reviews, conceptual approaches and empirical studies. To ensure their practical applicability, all outcomes are discussed in work- shops and focus groups with the other partners of the project consortium. These workshops and focus groups help in the validation and analysis of the applicability and complexity of the suggested methods in the context of seaports. Such workshops enable WP4 to determine the requirements and specifications for the upcoming online toolbox for risk assessment methods in seaports. Therefore, the co-operation among work packages and partners of HAZARD is essential to ensure a better understanding, successful support and application of the risk assessment methods in order to improve the current status of risk management process in BSR seaports. 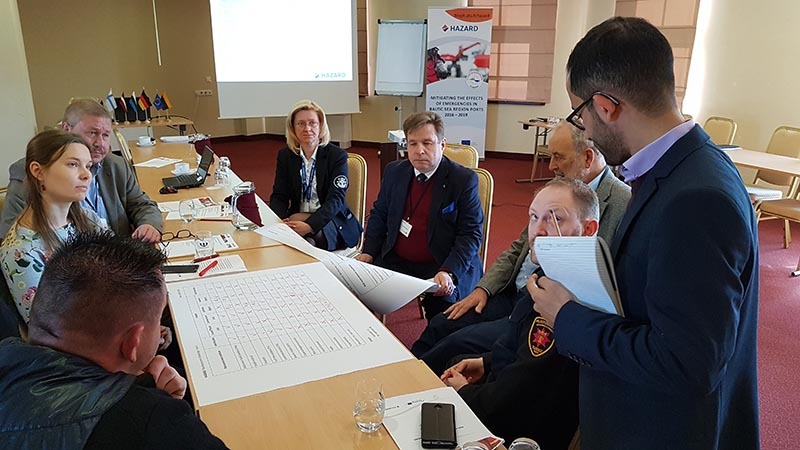 For instance, the HAZARD publication of WP4 “Risk assessment in seaports: a literature review” played an important role in organizing the co-operation meeting held in Klaipeda on 19th of April 2018 by extracting an initial list of risk assessment methods for further evaluation. 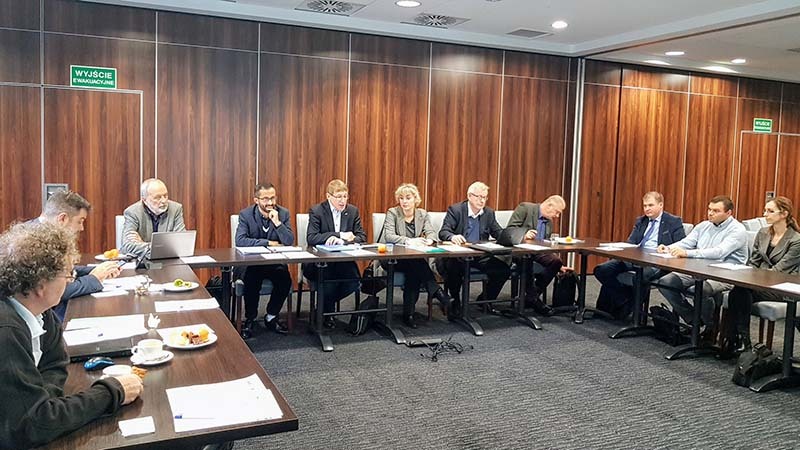 These methods were discussed and analyzed with the rescue services and port partners to determine their applicability and suitability to seaports. Another important milestone within the work of WP4 is an exhaustive and cross-border interview study. This study aims at understanding the current status and practices of risk management at Baltic Sea Region (BSR) seaports. A detailed interview guide was developed by the leader of WP4. This interview guide was distributed to the knowledge partners of WP4 in order to carry out interviews with different categories of stakeholders using the same set of questions. The study will present the current methods used for risk management as well as the various requirements, status of co-operation and measures implemented for certain types of risks. Furthermore, co-operation is taking place with the OpenRisk project – An EU funded project on open tools for assessing the risk of maritime accidents and spills. The leader of WP4 is participating in the regional work- shops of risk assessment methods for hazardous spills. Several methods were mutually refined and the same frame- work and process based on ISO 31000 for risk assessment are followed. Based on the research part and the empirical study, an online toolbox with an associated guide will be developed in Q4 2018. The extracted methods from the literature review and the interview study, which are validated and analyzed with port authorities, terminal operators and rescue service using workshops, will be integrated in the online toolbox. Based on the research publications, interview study, risk assessment framework, online toolbox and the associated guideline, the current status of risk management in BSR core seaports will notice a significant improvement. Several publications has been made in the HAZARD project. The newsletter No6 presents them all. You can find all the publications here.